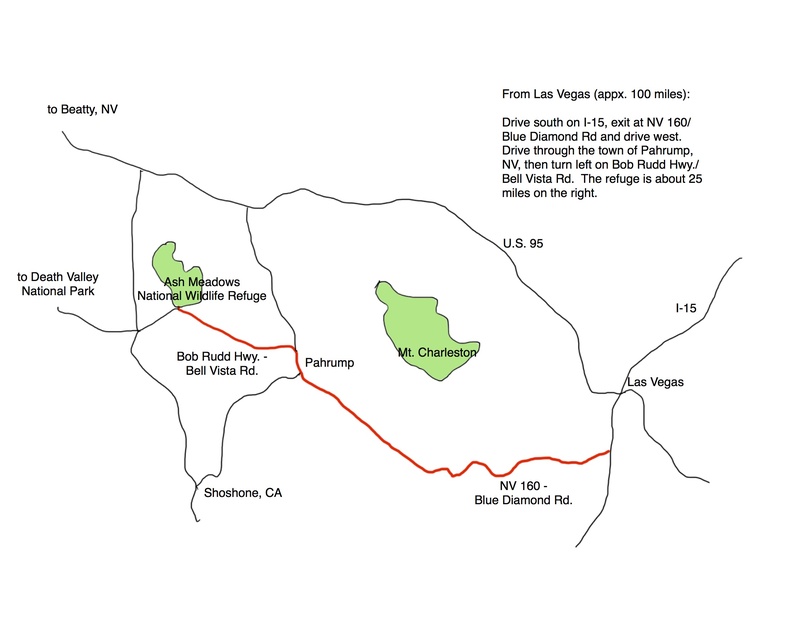 Ash Meadows National Wildlife Refuge is located in Nye County, Nevada about 100 miles northwest of Las Vegas. Here’s a rather crude map of the route I take, which takes me a little more than 2 hours to drive. Please take notice of the very low speed limits when driving through the town of Pahrump. After driving 70mph for a while, 35mph seems like a crawl. If you are driving at night, slow down, use extra caution because you may encounter wild horses, burrows, rabbits and coyotes on the roadway. Drive slow, give wildlife a chance to get out of the way. Thank you.